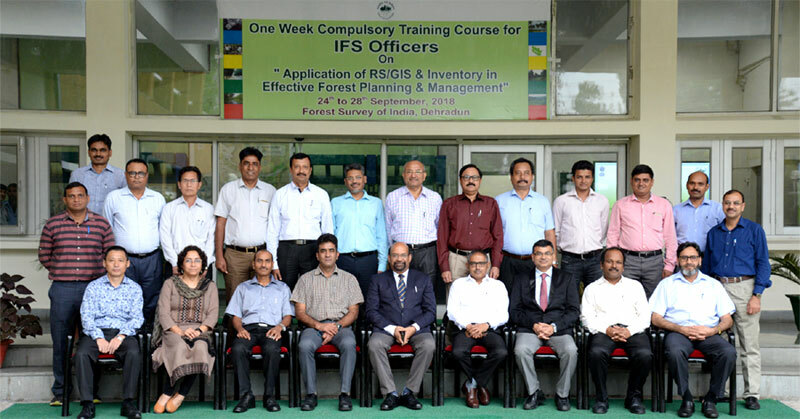 A one-week compulsory training course for IFS officers on “Application of RS/GIS & Inventory in Effective Forest Planning and Management” was conducted during 24th to 28th September 2018 at FSI, Dehradun. This was a compulsory training programme for IFS officers in which officers were nominated by MOEF & CC from different forest department. The training was aimed at providing the overview of RS/GIS based approach in generating inputs for preparation of working plan as per new working plan code 2014. In total, 18 IFS officers from 16 states have attended the training programme. List given in Annexure. Sh. Prakash Lakchaura, Deputy Director, Training welcomed the participants and briefed the basic objectives of holding such an important training. Dr. Subhash Ashutosh, Director General, FSI, welcomed the participants and apprised the role of RS/ GIS as a most effective, scientific approach for the preparation of Working plan/ management plan. Besides in-house faculties, eminent guest faculties from reputed organizations/institutes were also invited to share their knowledge and experience with the course participants in their specialized domain. On the first day, Shri Sushant Sharma, JD (TFI) highlighted the activities of Forest Survey of India thereafter lecture on “Geomatic activities of FSI” was delivered by Smt. Meenakshi Joshi, JD (FGD). Her lecture was followed by visit to Geomatics Labs of FSI with Shri R. Arun Kumar, DD (FCM-II). In the afternoon Dr. Harish Karnatak, IIRS delivered a lecture on “Application of Bhuwan & Satellite Data in Forestry”. Dr. Subhash Ashutosh, DG, FSI delivered an informative lecture on “Assessment of Carbon Stock in India and FRL”. He discussed different concept of carbon assessment and established linkage with NFI. His lecture was followed by the session on “Decision Support System & e-Green Watch” by Smt. Meenakshi Joshi, JD and Shri A.K. Saxena, AD. The various topics covered during a week training course were “REDD+Strategy in India” by Dr. V.R.S. Rawat, Retd. Scientist, ICFRE, “National Forest Inventory” by Shri Prakash Lakhchaura, DD (Trg. 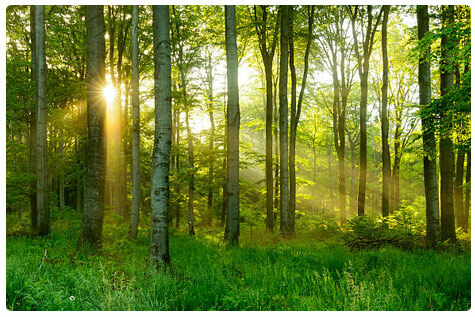 ), FSI, “Application of Remote Sensing RS/GIS by MP Forest Department in Forest Planning and Management” by Shri Anurag Srivastava, APCCF (IT) MP, “Forest Fire Monitoring by FSI” by Shri E. Vikram, DD (FCM-I),FSI, “RADAR Remote Sensing and its Application in Forestry” by Dr. Rajkumar, DD (SAC) Ahmedabad, “Experience Sharing of Maharashtra Forest Department in Application of RS/GIS in Forest Management and Monitoring” by Shri Praveen Srivastava, APCCF (IT/Policy) Maharashtra. Over and above, the participants were also exposed with field visit for the better understanding of RS/GIS based technology in forestry. During the field visit, participants were taken to Uttarakhand Forest Department GIS cell and Dehradun zoo. The demonstration and technical sessions on QGIS were also conducted to demonstrate the participants about the requirement of Open Source Software in the preparation of geospatial layers, as a data inputs for the preparation of working plan. The session was taken by Dr. Madhu Negi, P.S and Shri Tapas Biswas, TA, FSI. As a part of the training programme, a panel discussion was conducted on “Improvement in the Working of Forest Departments-Need for Strengthening Science and Technology Based Applications in Forest Management”. Mr. R.B.S Rawat, Retd. PCCF, Uttarakhand has chaired the panel discussion. During the panel discussion, the participants gave suggestions for improvement of working of forest department and capacity building of forest department personnel.